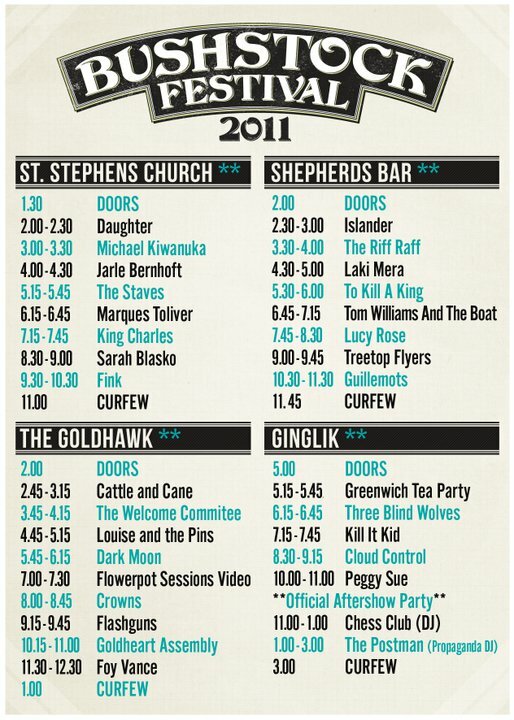 Here you go Bushstock go-ers, all the times for the bands you do or maybe don't want to see. You can now start to plan your outfit changes, toilet breaks or when best to hit up Bagel Bite for a mid-gig snack... Oh I do love an organised music festival. If I print a few of these out does anyone know where I can get them laminated?